Last week I was doing some research on WebRTC and I noticed that a lot of the information related to this topic was not from 2015; rather, it was from 2013 or 2014. As a result I couldn’t help but wonder: Does that mean WebRTC is losing its steam, or have we entered a lull in the hype regarding WebRTC? My sense is that this lull period is typical of new technologies. When new technologies like WebRTC are introduced to the world there is a great rush to find out and learn more about them. For example, many conferences emerge surrounding the technology—then more and even more over the years. These conferences are conducted by people who know how to get their message out. The end result is a super hype in messaging related to this new technology. 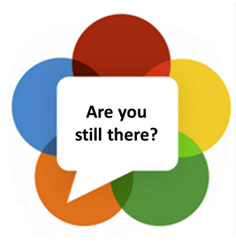 Based on Dialogic’s experience with WebRTC, the technology is far from losing its steam. For instance, Dialogic has had many customers go into production with WebRTC apps (built on Dialogic’s software based media server, PowerMedia, which is WebRTC-enabled), and we have many more in development phases. We continue to receive many questions from and interact with both existing customers and prospects. In doing that research I mentioned, I also came across this WebRTC infographic. It’s a great overview of the state of the WebRTC technology market; however, I’m not sure if 15 percent of the enterprise is already in production with WebRTC applications. I’d argue that number is quite a lot; however, the infographic states 15 percent of “respondents” are in production, and so it can be difficult to determine what exactly this percentage indicates. The point I’d take away from this section of the infographic is that enterprises are definitely planning around WebRTC. I’d also argue that we’ll see WebRTC significantly take off once Microsoft and Apple make moves. Until that time, there will be apps in production, as I mentioned above, and it will be important to make sure the communications app can handle a WebRTC endpoint coming in. The technology, however, won’t truly take off until we see this endorsement in the form of support.